Every day in Alabama, thousands of people report to work at vast poultry processing plants. Inside these frigid plants, workers stand almost shoulder-to-shoulder as chicken carcasses zip by on high-speed processing lines. Together, small teams of workers may hang, gut or slice more than 100 birds in a single minute. It’s a process they’ll repeat for eight hours or more in order to prepare birds for dinner tables and restaurants across America. Want to read this in PDF form? Click here. 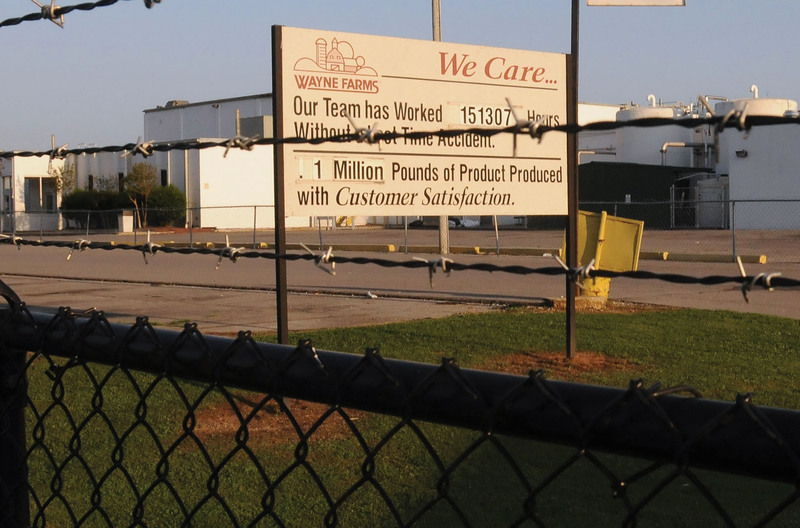 Every day in Alabama, thousands of people report to work at vast poultry processing plants. Inside these frigid plants, workers stand almost shoulder-to-shoulder as chicken carcasses zip by on high-speed processing lines. Together, small teams of workers may hang, gut or slice more than 100 birds in a single minute. It’s a process they’ll repeat for eight hours or more in order to prepare birds for dinner tables and restaurants across America. This grueling work serves as the foundation of a lucrative industry that supplies the country’s most popular meat, a protein source that Americans devour at a rate of more than 50 pounds per person every year. Alabama produces more than 1 billion broilers per year – ranking it third among states behind Georgia and Arkansas. It’s an industry with an $8.5 billion impact on the state – generating about 75,000 jobs and 10 percent of Alabama’s economy – and one that plays a vital economic role in numerous small towns. But it all comes at a steep price for the low-paid, hourly workers who face the relentless pressure of the mechanized processing line. Nearly three-quarters of the poultry workers interviewed for this report described suffering some type of significant work-related injury or illness. In spite of many factors that lead to undercounting of injuries in poultry plants, the U.S. Occupational Safety and Health Administration (OSHA) reported an injury rate of 5.9 percent for poultry processing workers in 2010, a rate that is more than 50 percent higher than the 3.8 percent injury rate for all U.S. workers. Poultry workers often endure debilitating pain in their hands, gnarled fingers, chemical burns, and respiratory problems – tell-tale signs of repetitive motion injuries, such as carpal tunnel syndrome, and other ailments that flourish in these plants. The processing line that whisks birds through the plant moves at a punishing speed. Over three-quarters of workers said that the speed makes their work more dangerous. It is a predominant factor in the most common type of injuries, called musculoskeletal disorders. But if the line seems to move at a pace designed for machines rather than people, it should come as no surprise. Plant workers, many whom are immigrants, are often treated as disposable resources by their employers. Threats of deportation and firing are frequently used to keep them silent. But workers speaking freely outside of work describe what one called a climate of fear within these plants. It’s a world where employees are fired for work-related injuries or even for seeking medical treatment from someone other than the company nurse or doctor. In this report, they describe being discouraged from reporting work-related injuries, enduring constant pain and even choosing to urinate on themselves rather than invite the wrath of a supervisor by leaving the processing line for a restroom break. Juan (not his real name) was told to get back to work after falling while lifting an 80-pound box of chicken. X-rays later showed two fractured vertebrae. He was fired, and the employer has not paid any of his medical bills. The stories in this report were collected by the Southern Poverty Law Center and Alabama Appleseed from interviews with 302 workers currently or previously employed in Alabama’s poultry industry. 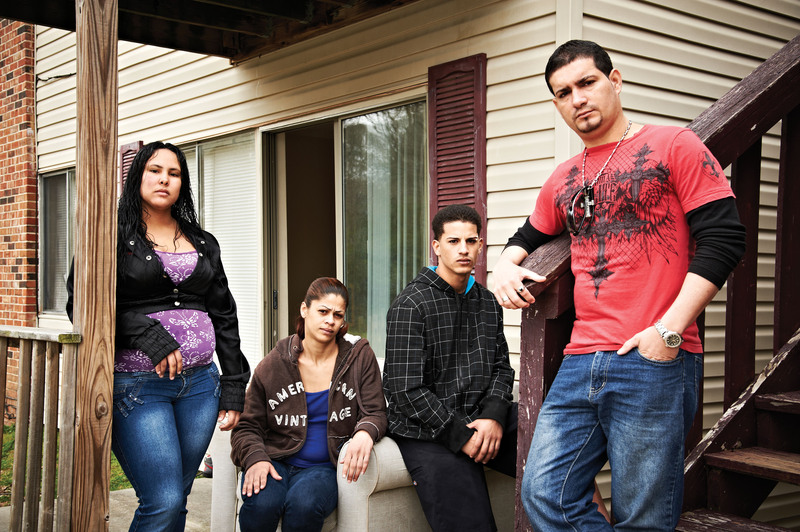 These workers are among the most vulnerable in America. OSHA, which regulates the health and safety of workers in this country, has no set of mandatory guidelines tailored to protect poultry processing workers. Workers cannot bring a lawsuit to prevent hazardous working conditions or even to respond to an employer’s retaliation if they complain of safety hazards or other abusive working conditions. Many live in rural areas and have no other way to make a living, which means they must accept the abuse or face economic ruin. Making matters worse, the U.S. Department of Agriculture is poised to enact a new regulation that will actually allow poultry companies to increase the speed of the processing line – from a maximum of 140 birds per minute to 175. The rule is part of the agency’s overhaul of its food safety inspection program, changes that have been harshly criticized by food safety advocates. There is no state or federal line speed regulation designed specifically to protect the safety of workers who produce the food. This is the face of the modern poultry industry in Alabama – an industry unfettered by serious regulation and blessed with a vulnerable workforce that has lacked a voice in the halls of government and has little power to effect change. This report presents survey findings and examines how flawed policy, lack of oversight and weak enforcement have allowed this exploitation to thrive. It also offers recommendations to end it. 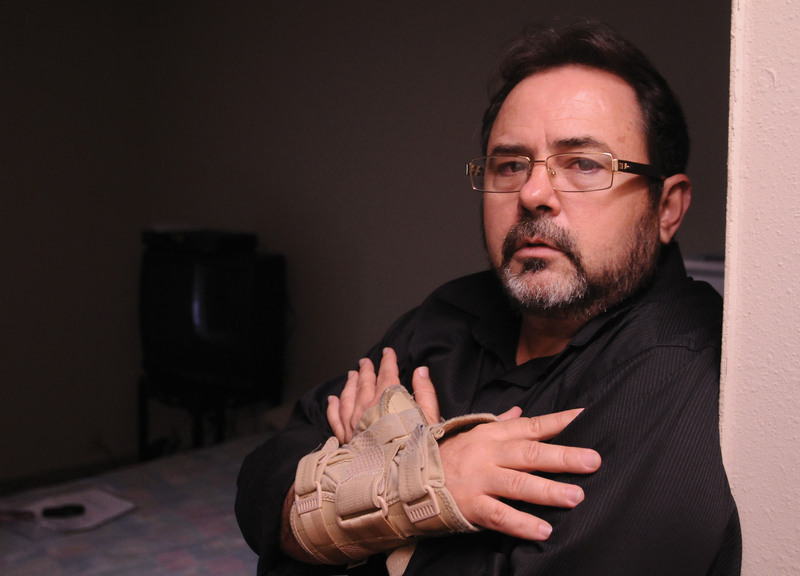 Oscar developed serious wrist and hand pain while working in a poultry plant. He was diagnosed with tendinitis and carpal tunnel syndrome common injuries among poultry workers. He was fired. When Oscar heard that a poultry processing plant in Alabama was looking for workers, he thought he could apply the skills he learned from studying mechanical engineering in Cuba. “I thought maybe … that I could work with the machinery, given my abilities and my hands,” he said. But after the 47-year-old arrived in Alabama from Miami, his hopes were dashed. He was denied two positions where he could apply his mechanical skills and instead was asked to fold chicken wings on the production line. As bird carcasses sped by him on the line, Oscar had to grab the wings and twist them into the position the company wanted, folding fast enough to meet a quota of approximately 40 chicken wings per minute – or roughly 18,000 wings per day. As he repeated this motion thousands of times, it put pressure on his hands and wrists. After about a month, he developed serious hand and wrist pain, which he had never experienced before starting work at the plant. Oscar was diagnosed with tendinitis and carpal tunnel syndrome. When his injuries made him no longer useful to the company, he was fired. “They don’t tell you the part that if you become sick, they’ll fire you from the job,” he said. Oscar’s story is all too common within the poultry processing industry. Seventy-two percent of the participants in this survey of 302 current and former poultry workers in Alabama described suffering a significant work-related injury or illness while working in the industry. The injury rates found in this survey – and in other studies that relied on direct contact with workers – dwarf the official reported rates compiled by the U.S. Occupational Safety and Health Administration (OSHA), partly because of OSHA’s narrow standard for recording injuries. But even the OSHA data show that poultry workers are still much more likely to be hurt on the job than workers in the private workforce as a whole: 5.9 percent versus 3.5 percent in 2010. Consistent with the results of this survey, many medical studies have found high rates of injuries among poultry workers, especially repetitive motion and other musculoskeletal disorders (MSDs) such as carpal tunnel syndrome, where muscles or tendons develop chronic pain, swelling and numbness from overuse and the repetition of strenuous cutting, hanging and other motions. Two-thirds (66 percent) of the workers interviewed in this survey described suffering from hand or wrist pain, swelling, numbness or an inability to close their hands – symptoms of long-term repetitive motion-related musculoskeletal disorders. • 74 percent of workers doing hanging jobs. Musculoskeletal injuries and disorders extend beyond the symptoms of carpal tunnel syndrome and other hand and wrist pain. About one-third of the workers surveyed identified pain or injuries to their back, shoulder or arm. The workers in our survey attribute much of their pain and injuries to the speed of the processing line; 78 percent of workers surveyed said that the line speed makes them feel less safe, makes their work more painful and causes more injuries. Few of these workers knew of instances where the line was slowed to address such concerns. Some workers recalled incidents in which other workers were fired or threatened for asking to slow the line (8 percent), and some (12 percent) said that supervisors actually sped up the line when workers asked to slow it down. Though many plants have a lever, button or string that workers can use to stop the line during an emergency, several workers reported being disciplined for stopping it when they were injured. Carlos, a 43-year-old Latino charged with deboning meat and removing chicken skin, stopped his line once when he was in excruciating pain. His supervisor threatened to fire him if he ever did it again. That kind of message is not lost on workers. When workers were asked if they had any opportunity to influence the line speed, the answer was a resounding no; nearly 99 percent said they could not. This response also explains the desperation they feel. One worker described how line speeds became so fast that workers began jamming chicken bones into the machinery to stop the processing line. It was the only way they could get some relief from the frantic pace. Ergonomics programs have been effective in reducing risk, decreasing exposure and protecting workers against work-related MSDs. Unfortunately, few poultry workers find such programs in their workplace. In 2001, in the waning days of the Clinton administration, OSHA issued ergonomics regulations aimed at protecting workers from MSDs. But those standards were repealed by Congress early the next year. Injury rates for poultry workers interviewed for this survey and other studies dwarf official rates. Many workers said they had to work even when seriously hurt. The fast speed of the processing line also increases the risk of cuts and gashes for workers handling knives, scissors and saws. These workers often stand virtually shoulder-to-shoulder, putting them at risk of cutting not only themselves, but co-workers as well. This survey found that 17 percent of workers performing deboning, cutting and trimming jobs had suffered a cut serious enough to require some medical attention. Company nurses often just gave workers Band-Aids for lacerations and sent them back to the processing line. One worker said that after such an experience, the “chicken water” – water that is on the bird carcasses and found throughout the processing plants – would get into his bandage, keeping his cuts wet and eventually dislodging his bandage as he worked. His cuts became infected and continued to bleed weeks after his initial injury. Other workers also relayed stories that show they are expected to suffer in silence. Carlos eventually quit his job. It’s difficult to determine the real number of injuries in the poultry industry because data compiled by OSHA often underreports the frequency and severity of injuries and illnesses in all workplaces. One study suggests that Bureau of Labor Statistics data on workplace injuries, which is based on employer reports to OSHA, missed between 33 percent and 69 percent of all workplace injuries in 2009 and that undercounting is likely an ongoing problem. Employers are supposed to log worker injuries on a Log of Work-Related Injuries and Illness (Form 300), also known as OSHA 300 logs. They are instructed to include work-related injuries and illnesses that result in death, loss of consciousness, days away from work, restricted work activity or job transfer, or medical treatment beyond first aid. They also must include any work-related injuries and illnesses that are significant or meet any of OSHA’s additional criteria. 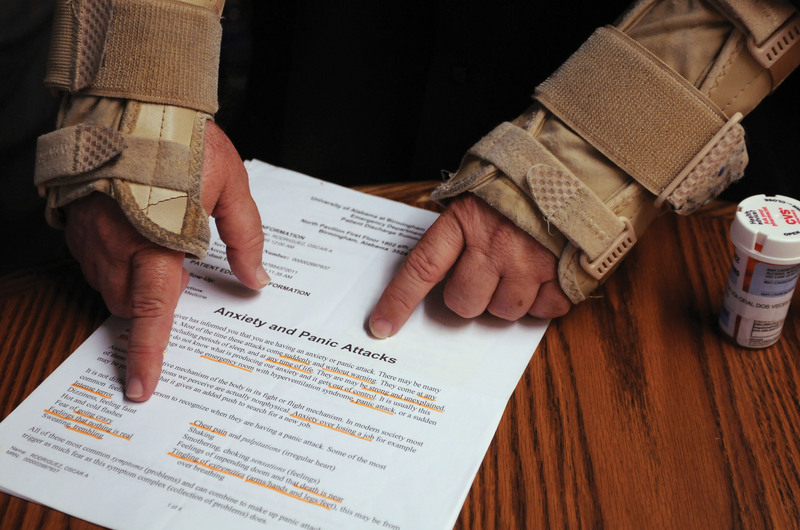 Such injuries are often omitted, whether accidentally or intentionally, by employers. This underreporting on OSHA 300 logs is due in part to worker fear of retaliation. This survey found that 66 percent of participants believed workers were scared or reluctant to report injuries, and that 78 percent of respondents attributed this reluctance to fear of being fired. 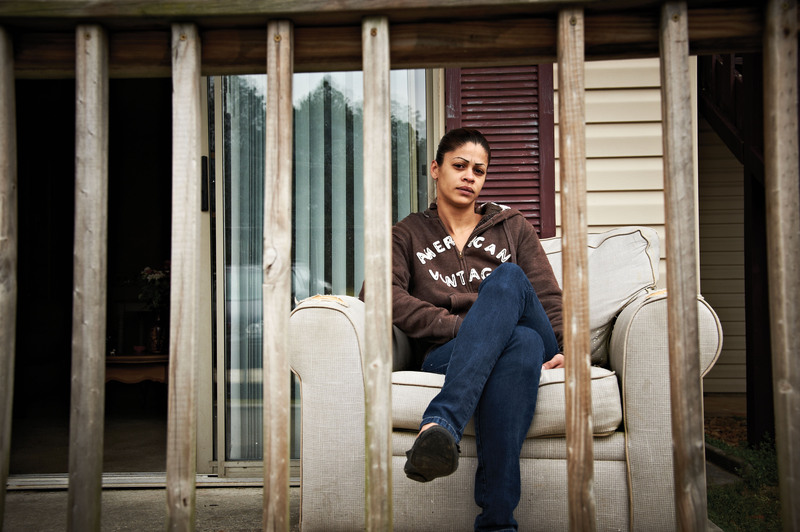 Workers like Gabriela find their employers have incentives to under-report injuries to OSHA. Other studies have noted that employers have incentives to underreport workplace injuries. This practice can keep workers’ compensation insurance premiums low, avoid triggering OSHA inspections, and promote an image as a safe workplace in order to avoid paying the higher wages workers might demand for hazardous work. Many workers interviewed in this survey said they were required to work even when seriously hurt – a tactic that can help an employer keep the number of reportable lost-time injuries low. On top of these incentives for companies to underreport injuries, there is little incentive to report them accurately. Among the 20 inspections of Alabama poultry processing plants conducted by OSHA since October 2007, six plants were cited a total of 16 times for recordkeeping violations, but 10 of these citations were either deleted or the fines for the citations were reduced to zero. These factors render many of the injuries experienced by poultry workers invisible – at least in terms of official injury records. Even worse, musculoskeletal injuries, which plague workers in this industry, aren’t tracked by OSHA. The agency doesn’t even have a check box on the OSHA 300 injury logs to indicate a musculoskeletal injury. When Diane* was diagnosed with severe carpal tunnel syndrome, her doctor was clear about what caused the condition – her work at the poultry processing plant. It was news her employer didn’t want her to hear. In fact, Diane knew she could be fired if her employer learned she had sought treatment from her own doctor instead of the company doctor or nurse. Her boss had made it clear how she should deal with her pain. But Diane knew the treatment recommended by the nurse – taking a Tylenol and soaking her hands in water – wouldn’t be enough to address a serious injury. So, she secretly saw a doctor and was diagnosed with carpal tunnel syndrome. Diane’s story is not unique. Company policies requiring workers to see plant nurses first, even threatening discipline if workers initially seek outside treatment, are prevalent throughout the industry. Company doctors and nurses often deter workers from seeking their own treatment or workers’ compensation. Yet, if these workers see the company nurse too often, they’re fired. Workers in this survey told of at least two plants with unwritten but rigid practices that result in the termination of any worker believed to have sought medical attention from the plant nurse too often. Given these working conditions, it’s not surprising that 66 percent of survey respondents believe their co-workers were scared or reluctant to report injuries. Seventy-eight percent of those respondents attributed it to fear of being fired. Plant employees are often worked until they can bear no more and then tossed aside. Because workers know they are essentially disposable, it is difficult – if not impossible – for them to take a stand to improve their safety. 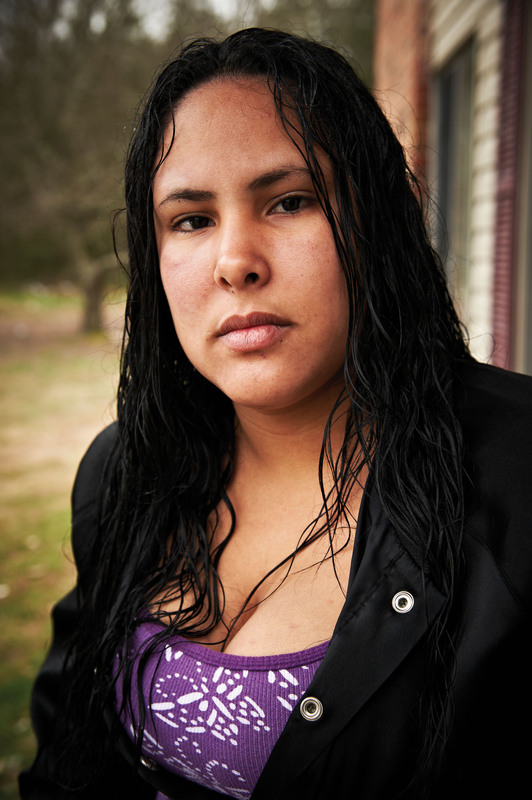 Roberta,* a young Latina in South Alabama, went to her plant nurse’s office three times to seek relief from the aches in her hands and wrists. After the third visit, she was told that she had gone to the nurse too many times. She was fired. Kendrick, a young African-American man, developed carpal tunnel syndrome as he worked the deboning line at a plant. When he asked the nurse for a lighter work assignment, she let him know there were consequences for such a request. “Do you want your job?” she asked him. Samantha,* a 24-year-old African-American woman, was fired because she supposedly visited the plant nurse one too many times about the pain and swelling in her wrists. 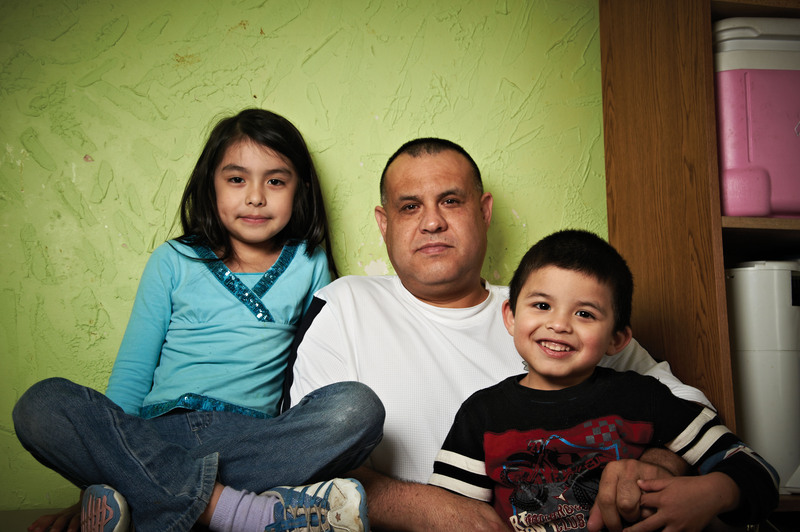 Juan (not his real name), pictured here with two of his children, has received no compensation or help with medical bills after injuring himself at work. “They shouldn’t have a nurse’s office at all if they don’t want you to go to it,” she said. Three years after being fired, Samantha’s hands still swell and become so numb that she cannot move them. In total, this survey found that about 40 percent of injuries went unreported to the company. About one-fourth (24 percent) of all injuries discussed in the interviews went unreported because of the worker’s fear of being fired or disciplined for reporting the injury, missing work to heal, or seeking medical treatment. This fear is well-founded. Almost one-tenth (9 percent) of workers who reported an injury were fired or otherwise disciplined for being injured, missing work or seeing a doctor. 50 percent of the time workers saw a doctor, they said that the decision of when they returned to work was made by the poultry corporation rather than the treating doctor or injured worker. When workers manage to visit the plant nurse, they often described the nurse providing temporary remedies such as a Band-Aid, a warm-water hand wash, or instructions to buy pain medication from a vending machine in the employee break room. Workers are then, routinely, sent back to their assignment without rest or relief. The nurses, enforcing company policies, discourage workers from seeking their own treatment. 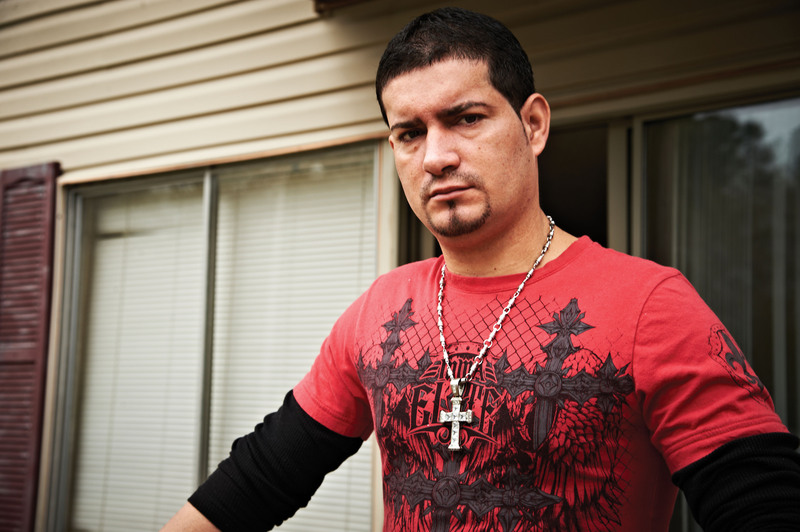 Juan,* a Latino father of three living in Alabama since 1999, worked for six years in a poultry plant. He worked primarily in stacking jobs that required him to lift, carry and stack two 80-pound boxes of chicken a minute. While lifting a box of chicken, he became dizzy, slipped, and fell to the floor. He was told to go right back to working despite being in great pain. 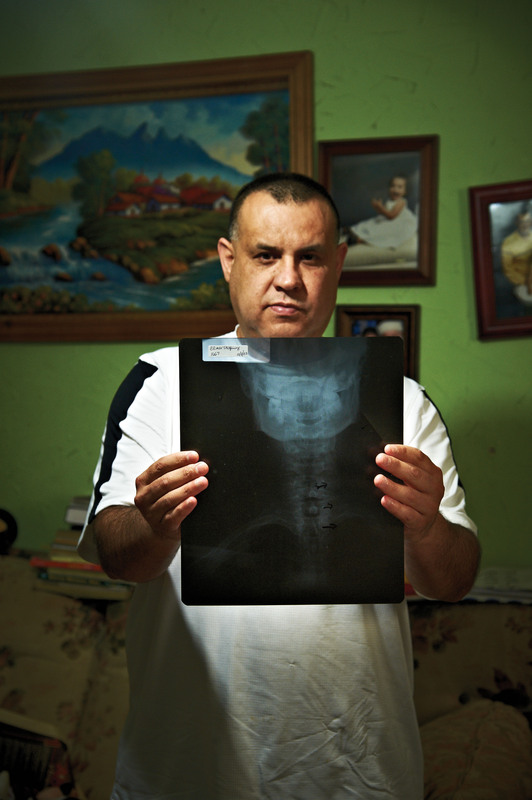 Juan’s back pain worsened and the swelling became constant. He was unable to sleep. When he was finally able to get X-rays, they revealed that he had two lumbar vertebrae fractures from the fall. He was eventually fired. Juan has yet to recover. His employer never paid for any medical treatments. Another worker, Fernanda,* described losing her breath from the pace of the line where she deboned chicken carcasses. She told her supervisors that she felt that she was going to faint. They would not allow her to take a break or slow the line. She fainted. Co-workers caught Fernanda before she hit the floor. She was unconscious for several minutes. After she was revived, Fernanda was given less than 30 minutes to rest before being ordered back to the line. Even if a company doesn’t create obstacles for workers seeking outside treatment, a lack of insurance can prevent them from receiving medical care. More than one-third (38 percent) of workers participating in the survey didn’t have health insurance. Only 16 percent had health insurance fully paid by their employer. Wilfrido, who has worked in the poultry industry for a dozen years, said that in the plants where he has worked, if a worker has a doctor’s excuse assigning light duty, the company just sends the worker home without pay or even fires the worker. Many doctors practicing near the plant appear to be aware of this situation. Some actually tell workers that they would like to give them a note recommending light duty, but that they think they should not do so because it could lead to the worker’s firing. Most poultry workers eventually give up on reporting injuries and seeking treatment from company nurses. They give up after witnessing workers lose their jobs. And they give up after receiving treatments from company nurses that leave them wondering why they should even bother. These workers often realize they only have one option – working through the pain. Even without these obstacles, a worker seeking outside medical treatment must take time off from work to do so. This can be another hurdle, partly because of a points system that penalizes them for such absences. Virtually all Alabama poultry plants rely on this system to enforce attendance policies. The system varies slightly among companies, but the general premise is that for each absence – even late arrivals or early departures – the employee receives a point or a half point. The reason for the absence or tardiness usually doesn’t matter. When an employee reaches a certain number of points, that person is fired. Depending on the company’s policy, it can take as few as six points for an employee to be fired. At some plants, it can take a year for the employee to work off a single point. Even workers who have a doctor’s appointment or a chronic illness can get a point for taking time off to seek treatment. In an industry notorious for its high rate of long-lasting injuries, this type of policy can force employees to choose between their health and their employment. It also means injured or ill workers will almost certainly be fired – enabling the company to quickly dispose of workers who have endured harsh working conditions as they’ve helped the company turn a profit. This points system cost LaTonya, a young African-American woman, her job at a poultry plant in North Alabama where she cut chicken legs and thighs. She has asthma, which occasionally flared up and forced her to leave work. Sometimes her supervisors or the plant nurse ordered her to leave work to recuperate, an uncommon occurrence in an industry where injured and ill workers are often coerced into working even when ill or injured. But even on the days LaTonya was told to leave the plant, she received a point under the points system. Her employer even denied her request to work in areas that did not aggravate her condition. Instead, she was forced to work in rooms that both she and her supervisors knew made it difficult for her to remain at work. LaTonya received her final point when she needed emergency medical care. In other words, she would be fired. LaTonya feared for her health. She made the difficult decision to go to the hospital, even though it meant losing her job. A recent lawsuit brought by the Equal Employment Opportunity Commission (EEOC) highlights a legal problem with points systems. In EEOC v. Verizon Wireless, the EEOC alleged that no-fault attendance policies – such as the points system frequently used by poultry plants – violate the Americans with Disabilities Act. The EEOC argued that Verizon Wireless was required to provide reasonable accommodations to disabled employees that would allow them to continue working. Such reasonable accommodations include not receiving points for absences caused by their disability and its symptoms. The EEOC’s argument in this case, which was settled out of court, recognizes that points systems discriminate against workers with disabilities. These workers could continue working if the company permitted them to take the time to seek medical treatment and recover as needed. Refusing to do so while forcing employees to engage in such demanding and dangerous jobs is unjust and illegal. Until the poultry industry ends these policies, its workers will continue to discover what workers before them have learned about the industry. “It’s a house of pain in there,” Kendrick said. As a sanitation worker at a poultry processing plant, Franklin* wore a chemical safety suit to protect himself from the cleaning chemicals he sprayed on the machinery at the plant. But the suits his employer provided tore easily – often after three or four days of use. His requests for replacement suits were repeatedly denied. This meant Franklin had to repair the suit on his own. He would tape over the holes and tears to keep the chemicals out as he worked. He hoped his employer would eventually provide a replacement. But Franklin sometimes ended up wearing the same tattered safety suit for five months. Oscar, whose employer locked him out of company housing while injured, shows some of the long-term health consequences he has suffered. Franklin isn’t the only person struggling to work with broken and ragged safety equipment. Many of the workers interviewed for our survey said their companies continually switch to thinner, cheaper aprons that simply don’t hold up as they work. “The safety scrubs rip easily, which lets chemicals and chicken waste inside and touch your skin and your clothes,” one worker said. But asking for a new apron or safety suit isn’t an option for many. A common policy in Alabama poultry plants is to provide workers with one new protective apron to wear each month. A worker who needs a replacement before the end of the month is charged a fee. The same is true for other gear such as hair nets and gloves. In this survey, 57 percent of respondents said they had to pay for some or all of their protective equipment (33 percent paid for replacement gear only and nearly one-quarter – 24 percent – had to pay for all equipment). Given these statistics, it should be no surprise that workers often choose to start their workday wearing yesterday’s blood-spattered aprons and gloves rather than pay their employer for the privilege of wearing clean gear. It’s an example of how employers discourage poultry workers from voicing concerns about hazardous or unsanitary conditions in the workplace. Sixty-eight percent of workers responding to this survey were not comfortable asking their employer to fix workplace safety hazards – a fear that seriously endangers workers in a profession that reported 300,000 injuries between 1998 and 2008. The majority of workers uncomfortable asking for hazards to be addressed (58 percent) also said they were afraid they might be fired for reporting a safety violation or requesting an improvement in work conditions. This reluctance was particularly high among workers who have witnessed retaliation or some adverse response to such requests. Even without the fear of job loss, some workers may believe their request will be ignored. Only a tiny percentage of respondents (8 percent) knew of an instance when they or a co-worker asked a supervisor to improve working conditions in some way and the request was granted. This sets a dangerous precedent for workers laboring in processing plants where chemicals, blood, animal waste and other hazards abound. The health issues workers witness within the processing plants can be disturbing. 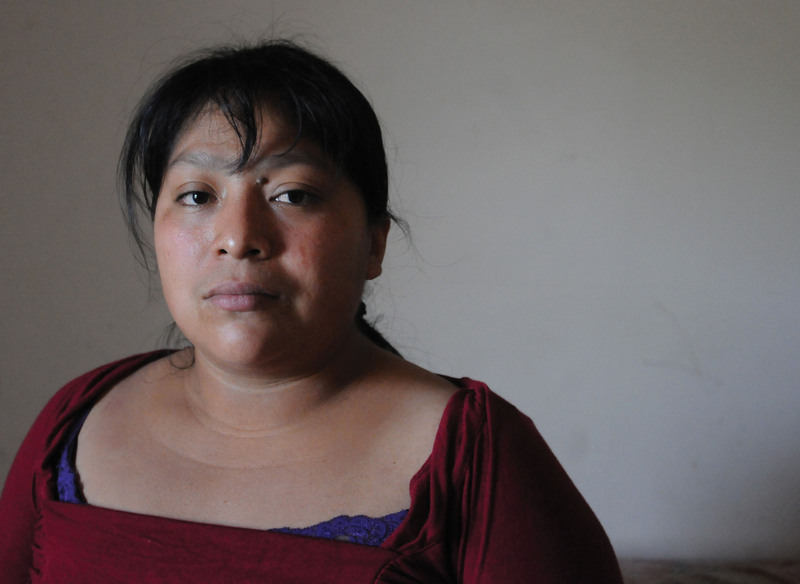 Patricia,* an indigenous woman from southern Mexico who has worked in two poultry processing plants, said she became frightened when her co-workers suddenly developed warts. The workers suspected it was caused by exposure to the “chicken water,” which can contain chemicals and waste from all over the plant. Wilfrido, a 12-year veteran of Alabama’s poultry processing plants, has watched his co-workers’ fingernails blacken and fall off. Exposure to chemicals and other liquids apparently blackens their fingernails and causes the skin on their fingers to harden and retract from the nails, which ultimately fall off. 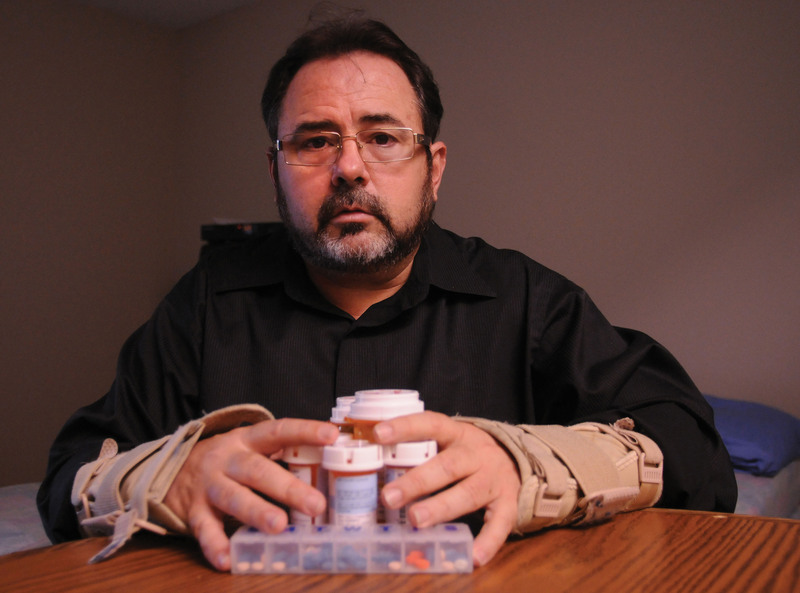 Behind these stories and others like them are workers coping with a variety of ailments. 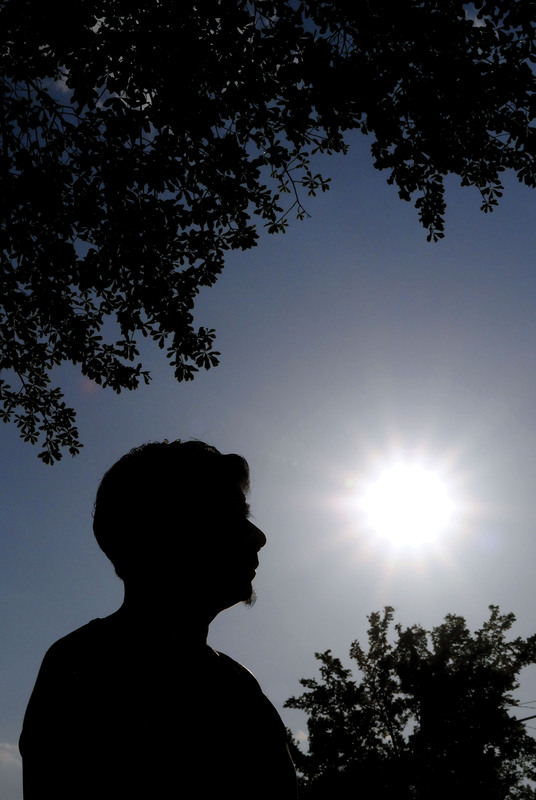 The survey found that 14 percent of all participants reported skin problems, 18 percent described eye pain or vision problems, and 21 percent described respiratory problems. It found that 30 percent of sanitation workers, the workers most exposed to strong cleaning chemicals, described experiencing respiratory problems at work. The responses in the table below suggest that when workers see retaliation against themselves or a colleague for attempting to report a problem, it makes them even more fearful of trying to do so in the future. When Lilia asked for sharper knives, her supervisors became angry. A year after leaving the industry, her left arm still goes numb and she can’t sleep at night. This silence even extends to the most basic request: Permission for a bathroom break. Of the 266 workers answering questions about bathroom breaks, nearly eight in 10 (79 percent) said they are not allowed to take breaks when needed. The long-term health consequences of being unable to use the bathroom when the body needs this relief are well-documented and serious. But such findings do little to deter supervisors determined to keep workers on the processing line at all costs. “You need to cut the chicken, not go to the bathroom,” was the response one worker said he got from his supervisor. This worker eventually walked off the processing line because he could wait no longer. Workers have reported policies limiting bathroom breaks to five minutes – a period during which they must remove protective gear, leave the processing floor, return to the floor and put their protective gear back on. This leaves very little time for actual human necessities. Workers described stripping off their gear while running to the restroom, an embarrassing but necessary action to meet the strict five-minute time limit. This race to the bathroom is also dangerous because processing plant floors can be slippery with fat, blood, water, and other liquids. Some workers said they dealt with the issue of bathroom breaks by not consuming water before and during shifts – a serious health risk. Others, fearful of losing their jobs, said they had no choice but to relieve themselves as they worked the processing line. Even without these issues, workers on the processing line still face a painful problem – dull knives. Access to sharp knives is one of the most basic recommendations from the U.S. Occupational Safety and Health Administration (OSHA) and the Government Accountability Office. Quite simply, dull knives require workers to exert more stress in their arms, wrists and hands to make the necessary cuts. Many plants tell workers that they can have their knives sharpened when needed. This is supposed to happen in one of two ways: Either the worker is allowed to leave the line to sharpen the knife or a low-level supervisor brings a sharpened knife to the worker. But many workers say they do not actually get to leave, slow or stop the line to sharpen their knives. Lilia, an older Latina poultry worker, said that whenever she or her co-workers asked for sharper knives, their supervisors would get angry. They would neither allow the worker to leave the line to sharpen the knife nor sharpen a knife for them. Workers had to keep cutting as each cutting motion became more difficult and painful. “My hand always swells a lot – and even more if I don’t have time to sharpen the knife,” said Sandra, a Latina mother of four with eight years in the industry. Workers also reported being denied the opportunity to rest muscles fatigued from repeating the same motion thousands of times. OSHA recommends such breaks, but many workers described being permitted only two breaks in a shift – one lasting 30 minutes and another lasting 15 minutes. But even the 30-minute break offers little time for rest. Just as workers must race to the bathroom while stripping off their gear, workers hoping to enjoy these breaks must quickly remove their gear, walk to the employee breakroom, heat their meal, eat it, use the bathroom, put their gear back on and return to the processing line. This race to “rest” is hardly a break for workers who have cut thousands of birds. “If you come back one or two times late from a break, you get fired,” Sandra said. Even when Sandra was pregnant, she was given only the two standard breaks to recover from the fast pace of the processing line. Even when Sandra was pregnant, she only received two breaks from the poultry processing line each day. Though OSHA has recommended a series of guidelines intended to protect poultry worker health, they are unenforceable as a matter of law and often ignored in practice. They are only guidelines; companies that ignore them do not face any penalty or legal action. Indeed, among the relatively few citations issued in Alabama poultry processing plants for safety violations in the last five years, none addressed the most common hazards reported by workers in our survey, such as fast line speeds, lack of bathroom breaks, and unsafe tools and equipment such as dull knives. Some of the major guidelines that OSHA suggests to protect poultry worker health include training, providing protective equipment, use of ergonomically sound tools such as pistol-grip knives or electric scissors, and work station designs that permit healthy posture. Many workers interviewed for this survey described being thrown into their assignments without any training. The survey found that 67 percent of respondents never received training before starting their job. It also found that 68 percent reported they never received any training on safety policies. The minority of workers (33 percent) who received training when starting their jobs were more likely than workers who did not receive training to feel comfortable asking their employers about safety conditions (42 percent of trained workers versus 27 percent of untrained workers). But even 42 percent is too low when companies have a duty to ensure that all workers can freely discuss safety and health concerns. Nevertheless, this finding suggests that training has a positive effect. OSHA also recommends job rotation, a practice that attempts to protect workers from strained muscles and tendons by regularly reassigning them to tasks that emphasize different motions. Several workers told us that such a practice existed in their plant, which is an encouraging sign. Unfortunately, some of these workers said it had little effect because there was little variation between their previous assignment and their new assignment. For example, when workers on a plant’s deboning line were rotated among the work stations, all of the tasks stressed similar muscle and tendon groups. “If you complain too much, you get laid off or fired,” said Francisco, who has worked at the same poultry processing plant for almost 20 years. This isn’t to say it’s impossible for poultry workers to bring change to their workplace. Recently, workers at the Pilgrim’s Pride plant in Russellville, Ala., voted 706 to 292 to join the Retail, Wholesale and Department Store Union. Among the reasons cited for the unionization was employee desire to change working conditions such as not having time to take bathroom breaks and not having their injuries adequately addressed. But Alabama’s rate of union membership – 10 percent – has been below the national average every year since 1989, the year the Bureau of Labor Statistics started publishing the data. With such a low level of union representation, it’s not surprising workers don’t see many viable options to make their voices heard. Also, Alabama poultry workers in union plants are not automatically placed in the union membership, which is a common practice in poultry-producing states. This means that workers may choose to not join the union out of fear of being singled out for negative treatment. Given the few opportunities for poultry workers to improve their working conditions, it’s not surprising that workers like Sandra believe that little will change. A remarkable transformation took place at one Alabama poultry plant whenever the U.S. Occupational Safety and Health Administration (OSHA) conducted an inspection. Many poultry workers develop tendonitis or carpal tunnel syndrome. They often try home remedies or braces to avoid surgery, which is sometimes the only real remedy. As this worker’s story shows, though OSHA inspections are “normally” implemented without advance notice to employers, it is not always the case. And too often it means that companies are successful in hiding dangerous conditions. Despite OSHA’s responsibility to ensure worker safety, it has no mandate to regulate processing line speeds to protect workers. The U.S. Department of Agriculture (USDA) is the only agency that currently regulates line speeds. But the USDA’s regulations are designed to guard against contamination of the product, not to protect workers from hazardous conditions. OSHA, in fact, has no standards tailored specifically for the poultry industry. This means that only the “General Industry OSHA Standards” are used to regulate the industry. OSHA is the only source of health and safety regulations for Alabama companies. OSHA is also severely understaffed. It employs enough inspectors to inspect each U.S. workplace, on average, once every 129 years. In this survey, poultry workers were asked whether they were aware of a complaint to any worker protection agency, such as OSHA or another branch of the U.S. Department of Labor, that was made by themselves or a co-worker. Even though the overwhelming majority of the 302 workers surveyed told us of dangerous conditions at their workplace, only 17 (of 247 workers who answered the question) reported knowledge of a complaint filed with an agency such as OSHA. Among these 17 workers, 11 indicated that nothing at all happened in response to the complaint, and only three reported any positive changes. These data help show that many workers are unable to file a complaint because of the fear of retaliation and the complex complaint process. They also show that even when a worker files a complaint with OSHA or a similar agency, inspections and positive results are rare. 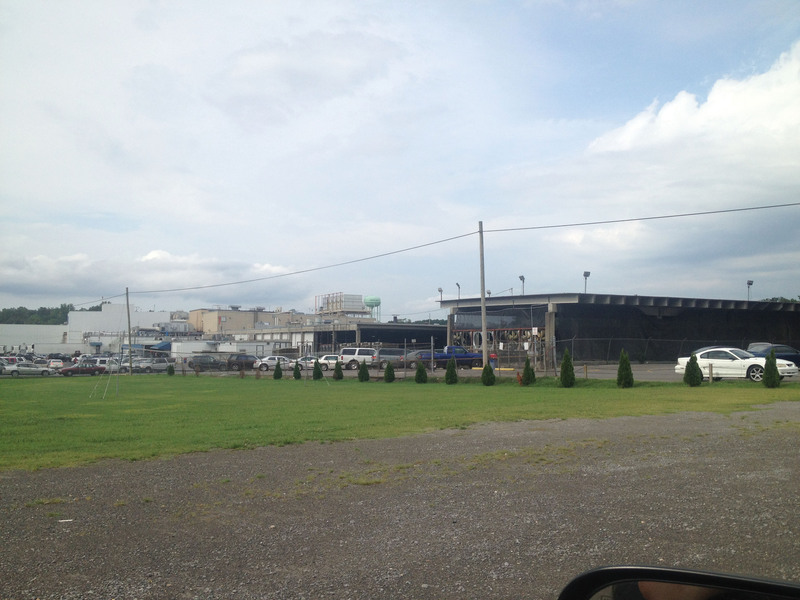 A handful of workers reported that working conditions became more dangerous after an OSHA inspection. That’s because the company had slowed the processing line while OSHA officers were in the plant. Once inspectors left, the line speed was increased beyond its usual rapid pace to make up for the lost production. OSHA conducts some planned inspections at worksites it strategically selects based on data or a random sampling, rather than in response to complaints filed by individual workers. However, over the past five years, it has conducted only two planned inspections in Alabama poultry processing plants. OSHA also inspects sites that have received worker complaints. Though OSHA investigates employee complaints, several factors prevent the agency from effectively addressing many of the abusive conditions workers described in this survey. A key flaw in OSHA enforcement is that it primarily investigates complaints from current employees. Complaints from former employees – the workers with least to fear – are rarely investigated. But the agency offers little protection from retaliation for current workers who bring attention to safety problems, and few in the poultry industry are willing to risk their jobs, particularly when they have little evidence that filing a complaint will improve conditions. Even workers courageous enough to file a complaint may find they have waited too long to take action. Employees have only 30 days to file a complaint. David Michaels, assistant secretary for OSHA, has argued that it often takes more than 30 days for an employee to understand a hazard in the workplace, much less to formally file a complaint. The strict 30-day rule prevents many valid complaints from being reviewed. Even complaints that are investigated face uncertain outcomes and weak enforcement. OSHA at times has sought to increase the number of inspections and the number of serious sanctions handed down each year, but very few health and safety cases are ever handed over to the U.S. Department of Justice (DOJ) for formal prosecution. According to William M. Murphy, a former top OSHA official, an objective to prosecute cases is “never communicated” to the OSHA staff. This was apparent in 2003, when The New York Times reported that in 20 years, OSHA made referrals to the DOJ in only 7 percent of cases involving deaths caused by willful employer violations. The low level of civil penalties is visible in the data on OSHA’s enforcement efforts in Alabama’s poultry processing plants, which have seen 20 inspections in the past five years, resulting in 78 citations and slightly more than $184,000 in fines actually paid. Twenty-two of these citations were deleted or excluded from the formal record. These 22 citations include three citations assessed at the most serious level. Most fines are low, often $5,000 or less. These fines are often waived or greatly reduced during settlement. Alabama poultry plant employers paid the full fine issued for only 17 of the 78 citations issued for workplace safety violations during the past five years. Quite simply, it is often cheaper to run an unsafe plant and pay minuscule fines than to protect workers from injury and illness. Without the threat of strong penalties for willful OSHA violations, the agency is unlikely to promote any real change. Without proper enforcement mechanisms, OSHA efforts cannot lead to safer workplaces. Health and safety problems are mostly exempt from a significant protection enjoyed by workers trying to enforce other types of rights – the ability to file a lawsuit. A private right of action by an employee against an employer is not available under OSHA statutes. In a speech to a U.S. Senate committee, Michaels, the assistant secretary for OSHA, has argued that employees should have the right to file civil suits in federal court against employers for violating orders issued to provide relief to workers. A private right of action would permit workers to protect their own health and safety instead of relying on an understaffed agency that has been, for several decades, increasingly unable to enforce health and safety standards in most American workplaces. Without a private right of action, these workers remain vulnerable. This inability to bring a lawsuit extends even to the Occupational Safety and Health Act’s Section 11(c) – a section of the statute created specifically to protect whistleblowers filing OSHA complaints against employers. Without a private right of action, workers reporting health and safety violations largely do so at the risk of employer retaliation. Alabama’s anti-immigrant law, HB 56, gave employers a tool to intimidate undocumented employees into working under even more hazardous conditions, workers say. 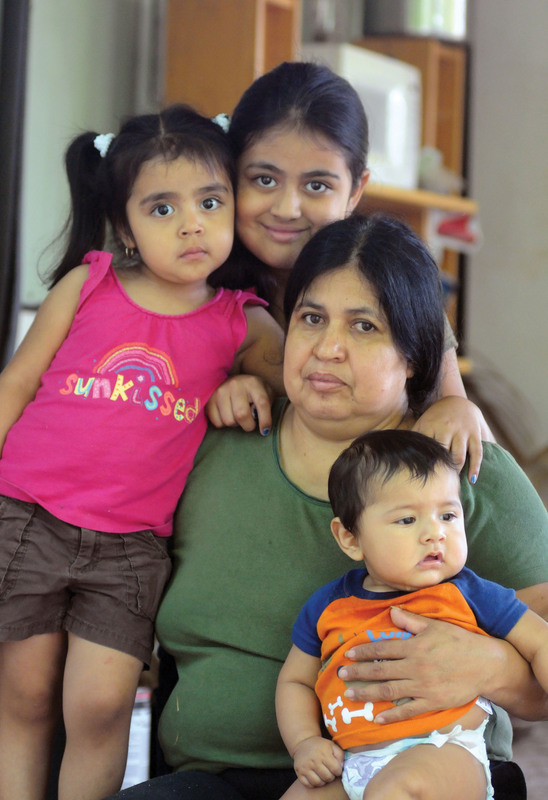 When Alabama passed its anti-immigrant law in 2011, it was promoted as a jobs bill. The law, HB 56, includes a provision requiring employers to verify the immigration status of all new hires through E-Verify, a federal database. HB 56 would not only rid the state of undocumented immigrants through its harsh penalties, supporters said, but the jobs they leave behind would become available for unemployed Alabamians. Many Latinos – regardless of their immigration status – apparently did choose to flee the state rather than face the racial profiling and harassment promoted by HB 56. The lines of Alabamians wanting their jobs, however, failed to appear. Some poultry companies operating in Alabama – Tyson, Pilgrim’s Pride and Alatrade Foods – assert that they used E-Verify prior to the state mandate. And though the law applies only to new hires, many employers have dismissed employees without verifying their immigration status at all or after verifying the status of current employees, which E-Verify does not permit. Workers of all races, languages, and immigration statuses who participated in this survey described dangerous conditions in these processing plants. These conditions only worsened after HB 56 raised the threat of retaliation and deportation, they say. Poultry workers say HB 56 has left processing plants understaffed as some companies choose to leave many positions unfilled. They say companies have used the new law to intimidate the remaining undocumented employees into working under even more dangerous conditions. 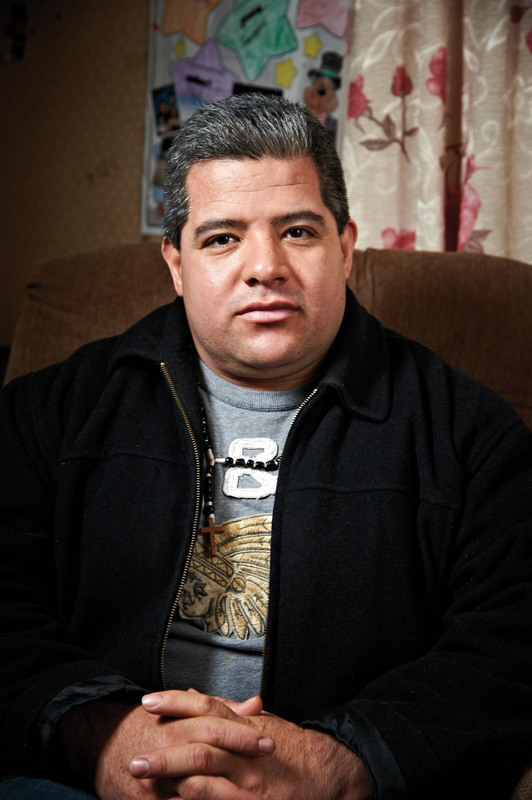 Francisco,* a 50-year-old Latino poultry worker in North Alabama, has seen a dramatic change since the law took effect. He said his employer has hired very few workers to replace those who fled. Instead, HB 56 has forced each worker to process more chickens than before. The plant has even increased its line speed in the deboning area, despite the number of workers there dropping from about 42 workers per line to about 32. The few new hires are thrown into their jobs without training – a decision that makes their dangerous jobs even riskier, he said. Francisco believes the company knows that many of its workers are undocumented and is exploiting their fear of HB 56 for profit. The company has threatened mass firings if workers cannot keep up with the faster pace, he said. The climate of fear also has been fed by a September 2011 incident that occurred shortly after HB 56 took effect. That’s when eight workers were arrested as they left the plant early one morning. The workers were deported even though they hadn’t committed any crimes and were longtime employees with children in Alabama. The arrests reinforced a powerful fear held by Latino workers — that they can disappear at any time. And as long as a poultry company can profit from that fear, there’s little reason for Francisco to believe his employer will do anything to dispel it. Because so few locals were interested in taking the jobs vacated by immigrants after the passage of HB 56, some Alabama poultry plants have resorted to recruiting refugees and other out-of-state workers to fill jobs. To a group of workers in Puerto Rico, it sounded like a good opportunity. Workers were promised $10.50 an hour – or even more – for hanging live chickens on a processing line. The workers were hired, but they had to pay their own way to Alabama. Once they arrived, they discovered they had been lured to the mainland with false promises. Instead of hanging live chickens for $10.50 an hour, they were tasked with deboning chickens for $8.90 an hour. Their pay shrank even more as deductions were taken for company housing, temporary use of furniture and other fees. Gabriela, Ivan, Rodrigo and Jessica* were among these workers. They, like other Latino workers, said they faced discrimination at the plant. They were required to perform more work than their non-Latino co-workers, harassed and insulted with comments such as “andale, andale” – apparently a mocking reference to Looney Tunes character Speedy Gonzales. Some workers even had feathers and bloody chicken parts thrown at them while working. Jessica attempted to make the best out of a bad situation. But things went from bad to worse. She was sexually harassed at work. It continued even after she rejected her harasser’s advances. Jessica was trapped in an unfamiliar region where she didn’t speak the language. “I couldn’t leave because I had nowhere else to go,” she said. Ultimately, Jessica and her three co-workers were fired. They were never told why. And they never had an opportunity to defend their rights. A subcontractor even cut off the electricity and heat to their company housing. They were forced to leave. The message was clear: The company had gotten what work it could get out of them. Now it was finished with them. Some Alabama companies sought out political refugees to fill vacant jobs in the wake of HB 56. 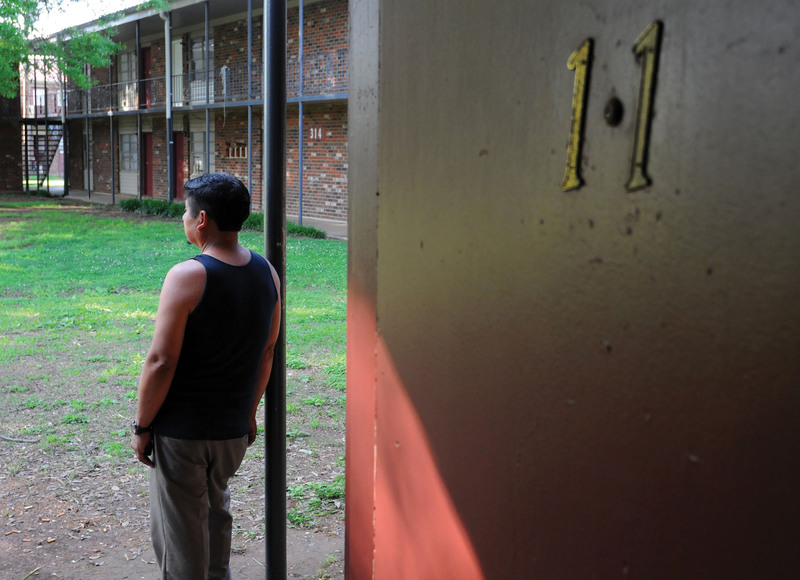 But refugees and others unfamiliar with rural Alabama are often vulnerable to exploitation. The promises companies make to these potential workers are too often false. The work conditions are almost always grueling and harsh. And once these companies are finished with these workers, they throw them away – even if it means shutting off the power and heat to someone’s company housing. Americans eat more than 50 pounds of chicken each year, on average, making it the country’s most popular meat. But while Americans enjoy the luxury of this relatively inexpensive and always available food, tens of thousands of low-paid workers who produce this bounty are paying a steep price. They spend long hours keeping pace with relentless poultry processing lines and endure grueling conditions that leave many with painful and, often, permanent injuries from the stress of countless, repetitive motions required to turn chicken carcasses into consumer products. They are treated by their employers as a resource that can be tossed aside once they are used up or broken beyond repair. Yet, they’re the reason Americans can count on finding boneless, skinless chicken breasts at their local supermarket. They’re the reason a fast-food joint can churn out an endless stream of chicken nuggets or a platter of Buffalo wings. While the poultry industry has been built on the backs of these workers, they enjoy few legal protections, and federal regulations do little to protect their health and safety. In fact, a new rule proposed by the U.S. Department of Agriculture (USDA) will make their jobs even more dangerous by increasing the speed of poultry processing lines up to 175 birds per minute. But reforms can help protect poultry workers and improve their working conditions. The U.S. Occupational Health and Safety Administration (OSHA) should stop the epidemic of repetitive motion injuries in poultry processing plants by limiting line speeds and the number of repetitions required of workers; by enforcing rights to bathroom and other rest breaks; and by requiring other ergonomically sound practices. The USDA should withdraw its proposed rule that would allow companies to increase line speeds. State lawmakers can also take action. In 2003, Nebraska enacted a Meatpacking Workers Bill of Rights. Among other rights, this state law included the right of workers to have proper tools, the right to be free from discrimination, and the right to a safe workplace. Currently, all Nebraska employers within the meatpacking industry must follow the bill of rights. Alabama, Georgia and Arkansas, the three leading poultry-producing states, are not among the 27 states that have job safety and health standards approved by OSHA as being at least as effective as federal standards. It is the responsibility of policymakers to protect the hard-working people who produce our nation’s food. The current system may provide greater profits to the nation’s large poultry companies, but it relies on systematic exploitation of workers. It must be reformed. Detailed recommendations are proposed on the following pages. The U.S. Department of Agriculture should stop its proposed increase of maximum line speeds. OSHA should affirmatively regulate line speeds and the number of birds per minute each worker may be required to process. OSHA should issue comprehensive ergonomics regulations to reduce musculoskeletal disorders arising from repetitive motion in the poultry industry. Alabama should enact a Poultry Workers Bill of Rights to protect this large sector of its workforce. This should include reform of the workers’ compensation system to ensure universal access for injured workers and recognition of workers’ rights to be free from hazardous conditions. Federal and state lawmakers should enact stronger anti-retaliation protections and prohibit practices that obstruct workers’ access to medical treatment. Workers should be empowered to sue their employers to change hazardous health and safety conditions. Mandate a decrease in poultry processing line speeds. The USDA should withdraw a proposed rule that would increase the maximum permitted line speed to 175 birds per minute. OSHA and the USDA should create a standard, enforceable, maximum line speed that adequately protects worker safety. Reinstate a federal ergonomic standard. OSHA should adopt a clear ergonomic standard requiring poultry processing plants and other meatpackers to provide enhanced training, job rotation, ergonomically sound tools, a slower work pace and other measures needed to prevent musculoskeletal disorders. Currently, OSHA only recommendsthat employers meet an ergonomic standard. A federal ergonomic standard should be comprehensive enough to eliminate the possibility that a state could use weaker worker safety standards as a competitive advantage against other states seeking to attract poultry processing plants. Strengthen federal standards and enforcement to protect workers from injuries and from retaliation when they report safety hazards. OSHA should increase the number of random, unannounced workplace inspections and the number of inspectors. OSHA should implement mandatory – not recommended – follow-up inspections for noncomplying companies. It should require a more intensive examination of a noncomplying company’s history to find systemic problems that could trigger additional mandatory inspections. OSHA should conduct inspections throughout a corporation once it has identified a life-threatening hazard at one of its establishments. Congress should amend OSHA’s statutory authority to conduct inspections and investigations, 29 U.S.C. § 657, to require investigations in cases of deaths or serious injuries. Congress should amend OSHA’s recordkeeping requirements, at 29 U.S.C. § 657(c)(2), to require reporting of all injuries and illnesses, especially of certain categories of common injuries currently exempt as a practical matter from recordkeeping, such as musculoskeletal injuries and severe lacerations. Musculoskeletal injuries and lacerations are common injuries among poultry processing workers, but under current law, a company does not have to report injuries unless they involve deaths, loss of consciousness, transfer to another job, or restrictions of work or motion. In poultry plants, whether to transfer an injured worker to another job or set restrictions on her motion or work is often a decision made by the employer, which means that many injuries, including even some very serious ones, fall through the reporting cracks and go unrecorded. Requiring employers to record all injuries and illnesses would permit easier identification of hazards and analysis of trends, would empower workers to insist on treatment where necessary, and would reduce incentives for employers to resist work restrictions and job transfers where they may be needed. Strengthen enforcement of anti-retaliation laws, and prohibit threats of deportation. These measures are needed to protect a worker’s employment and prevent a worker from feeling threatened or intimidated when reporting an accident or injury. Employers should provide greater training to managers and supervisors to ensure understanding of anti-retaliation laws. Vigorously enforce and enhance the rights of workers to organize a union and bargain collectively for health and safety guarantees, including line speed and the number of workers on the line. The government should ensure that information about how to organize a union is made readily available to workers. Comply with international labor and employment standards. Protect the rights of all workers to access workers’ compensation, judicial remedies for violations of their rights, and healthy and safe workplaces. Follow Nebraska’s lead and enact a Meatpacking Workers Bill of Rights. The bill of rights should ensure clear communications between employer and employees regarding employee rights to workers’ compensation, employer retaliation limits, access to information in employees’ own language, and ergonomic safety initiatives. Alabama should require that this information be distributed in multiple languages and in a manner that reaches all employees. Alabama should appoint a coordinator to oversee the implementation of the bill of rights. Strengthen state health and safety laws to improve working conditions. Launch initiatives that include broader access – including electronic access – to information such as plain language standards and explanations of how to enforce them, and to government and employer information for measuring and ensuring workplace safety. Create a private right of action for employees so they may sue to stop dangerous health and safety conditions, especially retaliation against workers who complain of health and safety problem. Reform the workers’ compensation system. Repeal the 1992 statutory amendment that made it nearly impossible for workers suffering from musculoskeletal and repetitive motion injuries to obtain workers’ compensation coverage of their medical care and the time they must be away from work. Ensure that employees are aware of the workers’ compensation system, how it works and their rights within it. Employers should be required to hold information sessions for employees in a language they understand – both as a part of their initial orientation and at least annually. This information should include the right of workers to select their own physician. Workers should be protected from retaliation for filing a claim. benefits when their employers have willfully violated OSHA safety standards. Increase the time workers have to report injuries for workers’ compensation coverage, especially repetitive motion and musculoskeletal disorders. Currently, workers have only five days to report injuries in many cases. Increase penalties for employers who fail to comply with workers’ compensation policies, especially those with repeated violations. Increase workers’ compensation benefit caps so workers are able to maintain a suitable standard of living, especially when benefits provide the sole source of income until the worker recovers. Increase workers’ compensation outreach and education efforts by community organizations, unions, and state agencies and departments. This information should be provided through materials workers can understand. The Southern Poverty Law Center and Alabama Appleseed interviewed 302 workers currently or previously employed in the state’s poultry industry. We interviewed workers who resided in more than 20 cities and towns across North and South Alabama. Survey participation was voluntary. No material incentive was offered to participants. No participants were pre-screened for their point of view. The workers were employed in 20 poultry plants owned by eight different companies. Chicken catchers employed by subcontractors affiliated with several of these companies were also interviewed. Most of the workers identified by name in this report appear under pseudonyms to protect them from possible retaliation. We interviewed a diverse sample of workers: 54 percent were Latino, 37 percent were African American and 9 percent were white. Our sample was 56 percent male and 44 percent female. At least 10 percent of the workers surveyed speak an indigenous Latin American language. We found that 53 percent of survey participants speak at least some Spanish. Forty-two percent speak English as their primary language. Among the immigrant workers participating in the survey, 64 percent had lived in the United States for 10 years or less. We conducted interviews lasting 45 minutes, on average, with workers whose experience covers all aspects of the poultry industry. Fifteen current or former supervisors participated in our interviews. We restricted our sample to include only workers with more than one month at a job and those who had held a job in the industry within the last five years. Participants were asked approximately 70 questions about safety practices and equipment in the workplace as well as their experience with line speed, workplace safety and rights enforcement. We also asked workers about their experience with injuries and employer response to injuries. We asked about employment discrimination and other working conditions, including wages and work hours, bathroom and rest breaks, and access to medical care. The survey found that 37 percent of participants had worked in two or more poultry plants – a reflection of the heavy turnover in the industry and the lack of other job opportunities in many poultry towns. Since we often declined interviews with workers who had worked in poultry jobs for short periods of time, this survey likely reflects a higher level of worker experience and longevity than is typical for the industry. The data in the table on page 50 is intended only to provide a picture of the experience level of the workers providing information for this report. Interviews were conducted primarily in individuals’ homes, though some were conducted in church halls. A handful of interviews were completed by telephone. Participants were not interviewed at their worksites – a step taken to ensure workers felt they could speak openly about their experiences. While the goal was to obtain a response to all of the survey’s questions, workers could decline to answer any question. In some surveys, time and the demands of the worker’s life – such as the need to attend to a family member or to leave for work – left a survey unfinished. In such cases, interviewers attempted to complete the survey questions by telephone or at a later date. However, this was not always possible. This “item non-response” is typical in large field surveys. Where data from the survey is reported, percentages based on the total number of responses to the particular question are used, and the number of responses is clarified when necessary. Alabama’s poultry workers face deplorable and dangerous work conditions. Yet no one has previously investigated Alabama’s poultry processing plants. This investigation is modeled on the Nebraska Appleseed Center report examining worker safety in meatpacking plants, The Speed Kills You. Through research and interviews, this report, Unsafe at These Speeds: Alabama’s Poultry Industry and its Disposable Workers, exposes the dangerous working conditions in Alabama’s poultry processing plants. The paramount concern for the Southern Poverty Law Center and Alabama Appleseed Center for Law & Justice is worker safety. In the poultry industry, many minority and immigrant workers lack knowledge of workplace safety standards and rarely pursue available remedies. Improving the conditions in Alabama’s poultry plants will not only protect the health and safety of these vulnerable workers but provide a model for other states and encourage federal reform of the industry. Tom Fritzsche is a staff attorney with the Southern Poverty Law Center, where he began his legal career as a Skadden Fellow. He has represented workers who faced retaliation after asserting their rights to a minimum wage and a work environment free from sexual harassment and discrimination. Fritzsche previously worked as a labor organizer with the Service Employees International Union and as a health outreach worker and interpreter with the Maine Migrant Health Program. He also has performed farm work on migrant crews. He is a graduate of Amherst College and New York University School of Law, where he was a Bickel and Brewer Latino Institute for Human Rights Scholar and a student advocate at the Immigrant Rights Clinic. The Southern Poverty Law Center and Alabama Appleseed Center for Law & Justice would like to thank the many individuals and organizations who gave their time, space and expertise to the project, particularly the courageous women and men who agreed to share their stories. This report would not have been possible without their participation. Church leaders, union members, small business owners and other community leaders provided invaluable assistance by identifying areas for outreach and providing secure spaces to hold community discussions and interviews. We hope that our work builds on the longstanding efforts of the many workers, medical researchers and members of the labor movement who have dedicated their lives and careers to protecting the health and safety of workers everywhere. We owe a great debt for their insight, analysis and inspiration. Special thanks are due to the dedicated interview team for their long hours spent listening carefully, and also to Micah Gell-Redman, José Aguilar, Charlotte Sanders Alexander, Leah Lotto, Jeremy Blasi, Scott Nova, and the supporters of the Southern Poverty Law Center and the Alabama Appleseed Center for Law & Justice.